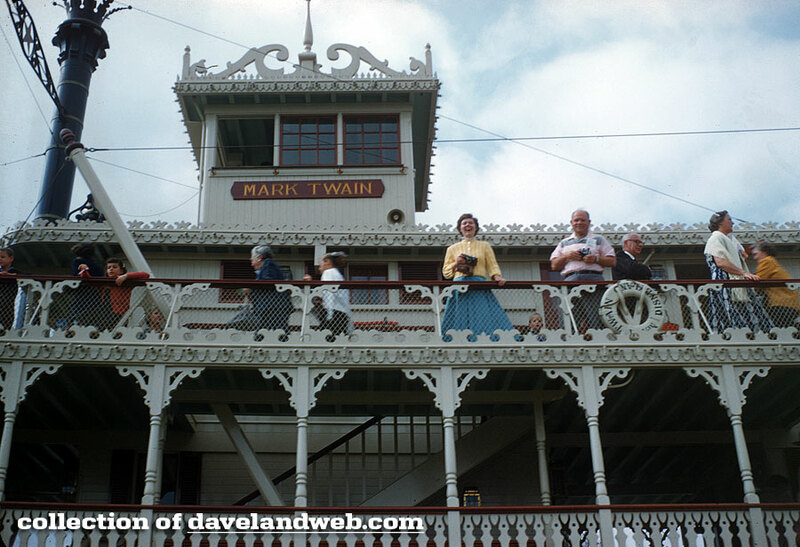 This Twainapalooza post takes place in the 1950s, beginning with this early shot of the Twain. 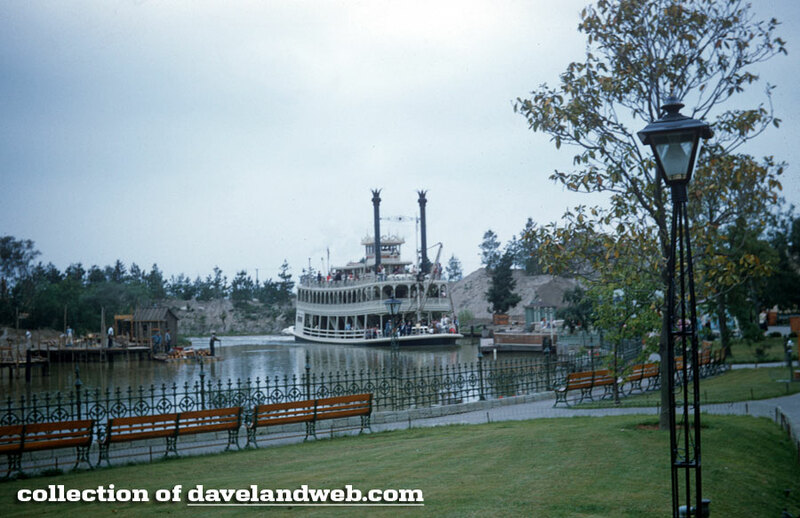 Most likely 1955...perhaps even before the park was open. 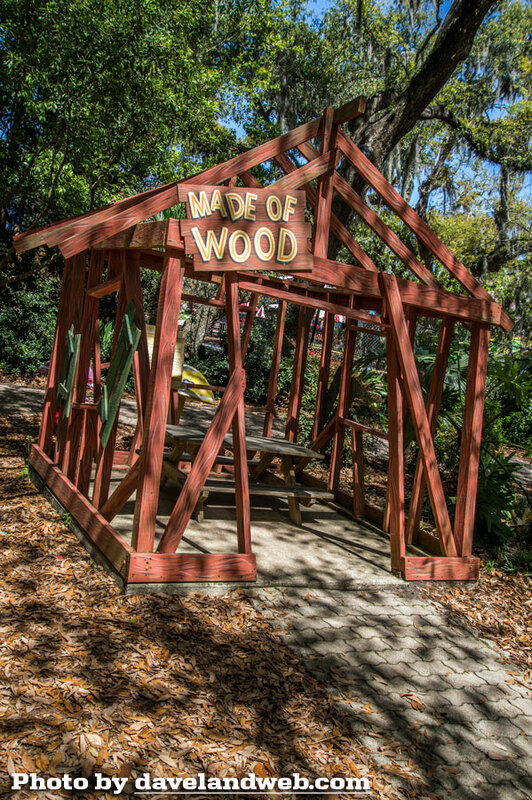 Wonder what the D.L. 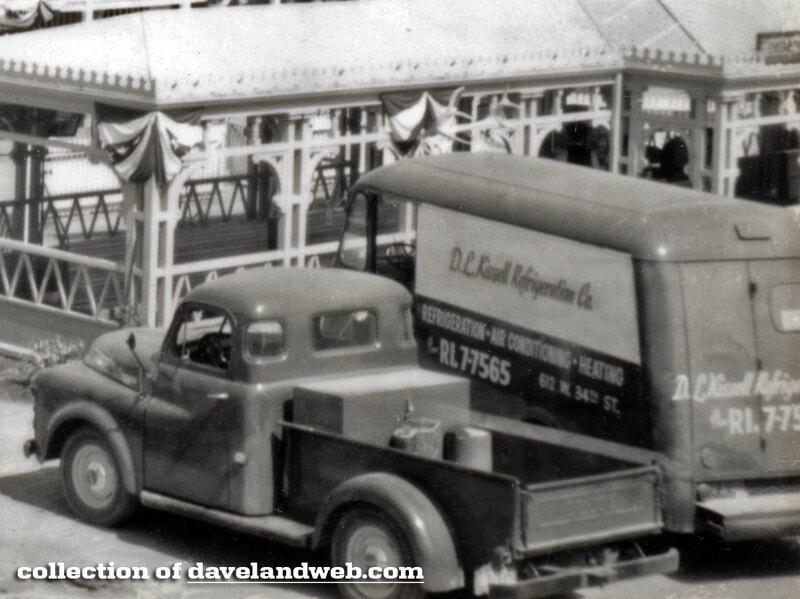 Kissell Refrigeration Company was doing here? 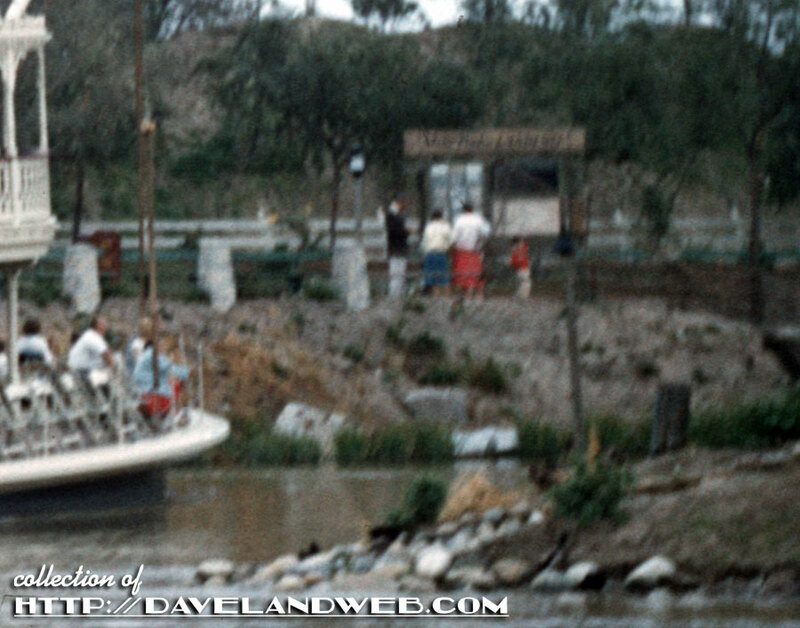 I can't read the sign board; perhaps for the Indian Village? 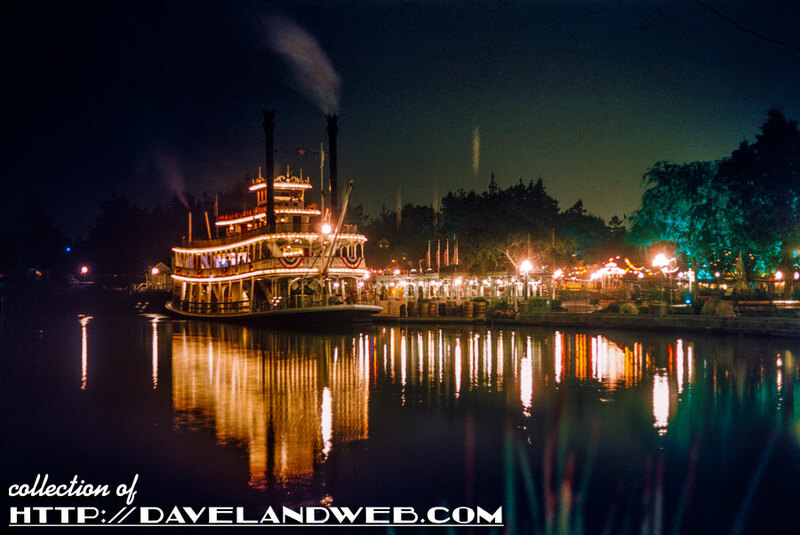 How about this gorgeous night shot from 1956? 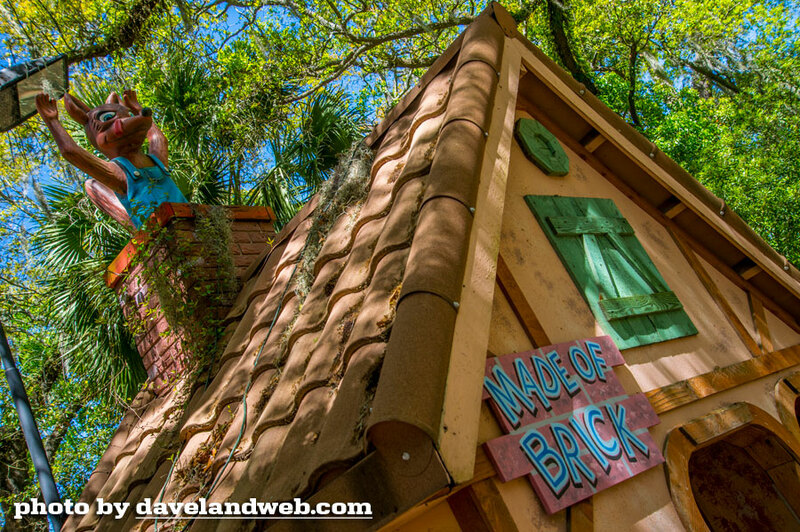 Even in closeup it's a beauty! 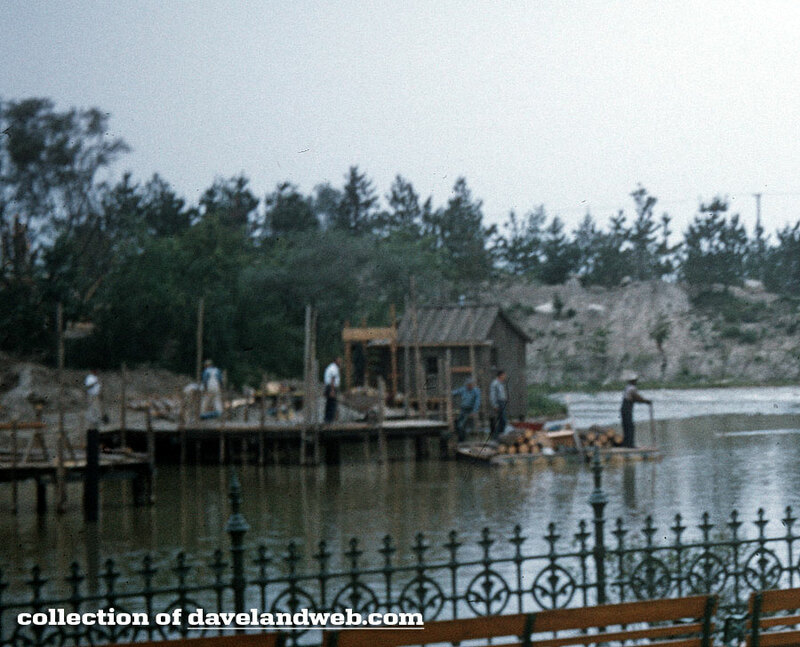 Tom Sawyer Island appears to still be under construction; it opened one month later. 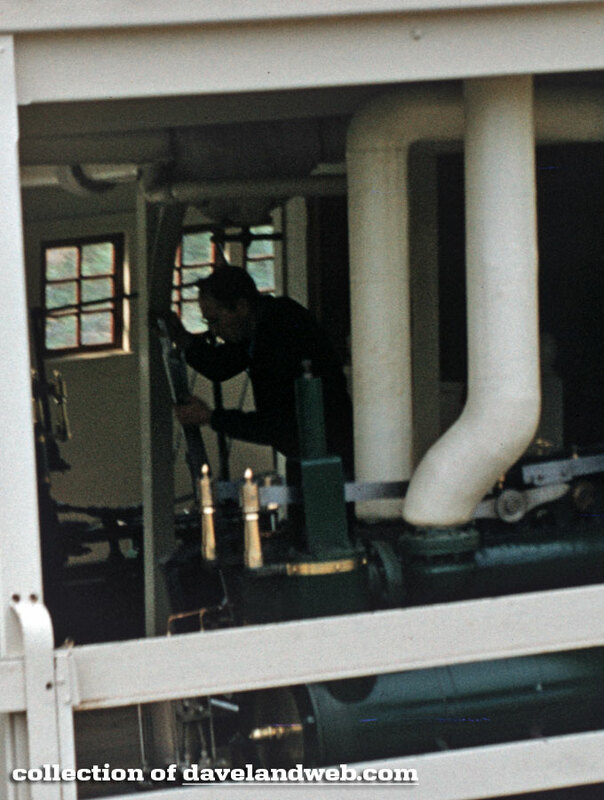 Is that an engineer or just a nosey guest? 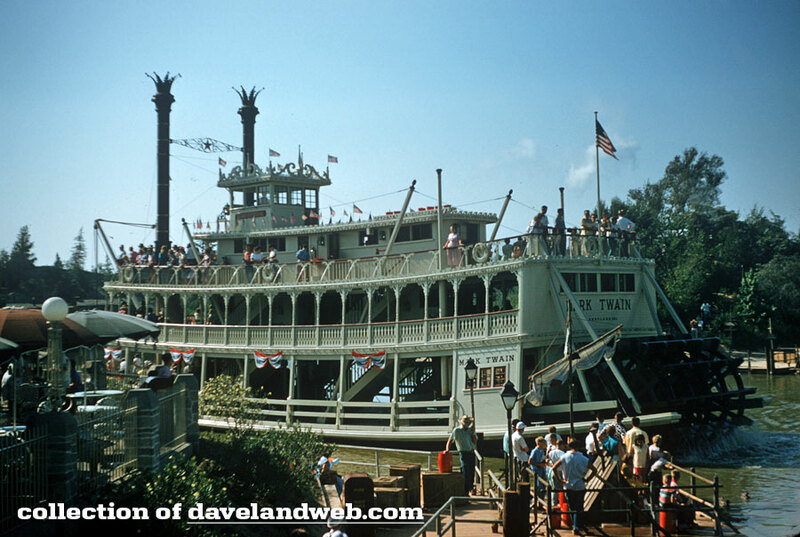 More shots of everyone's favorite riverboat at my main website. 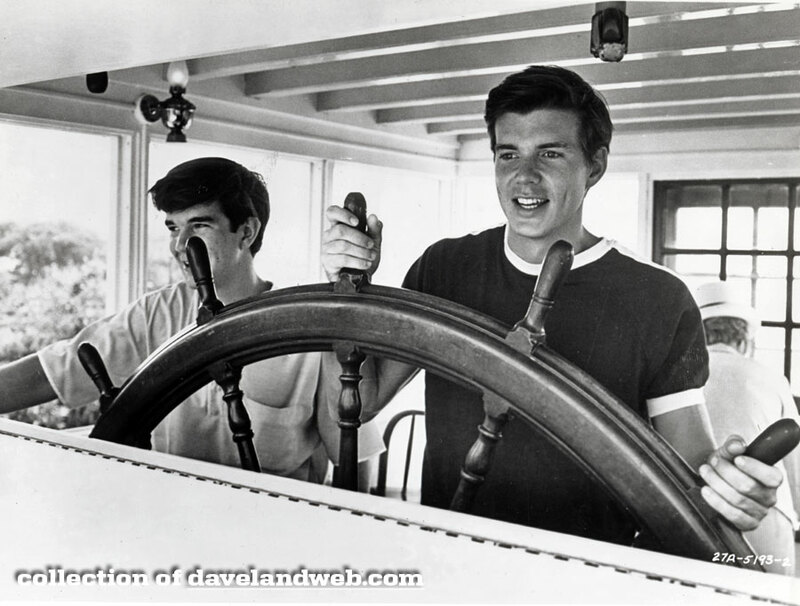 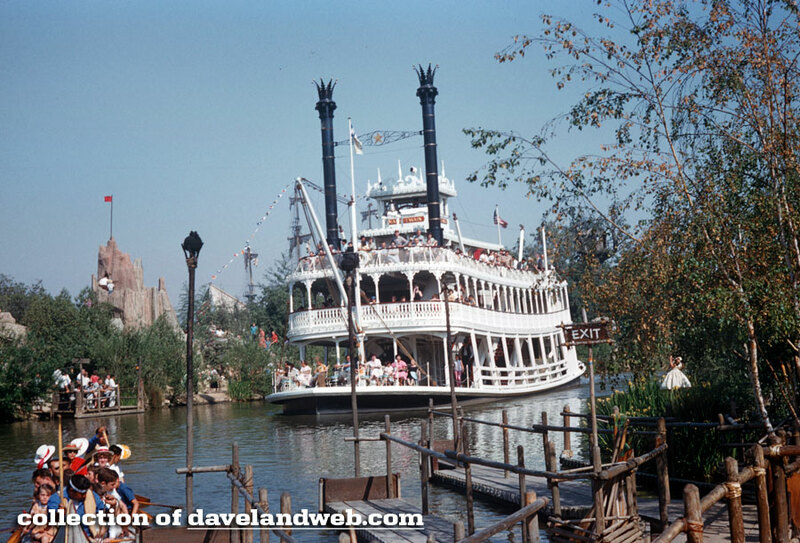 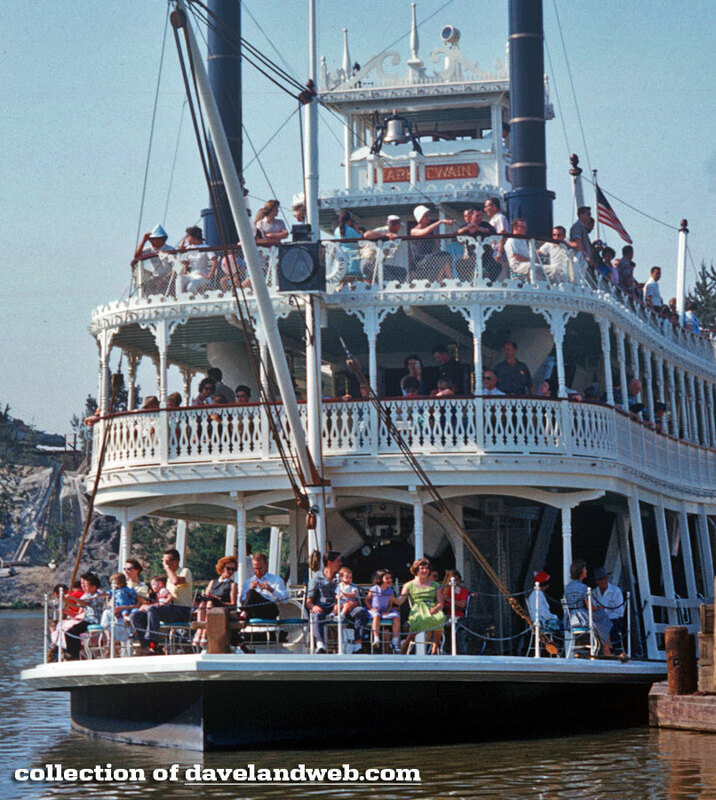 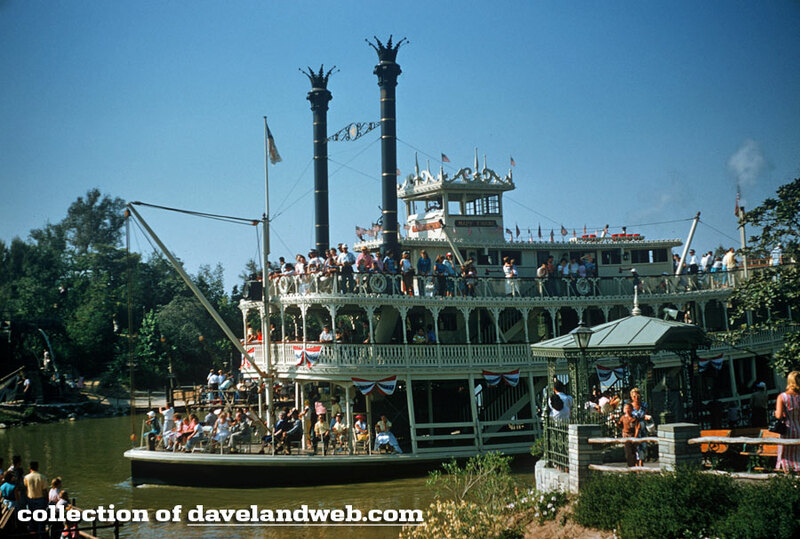 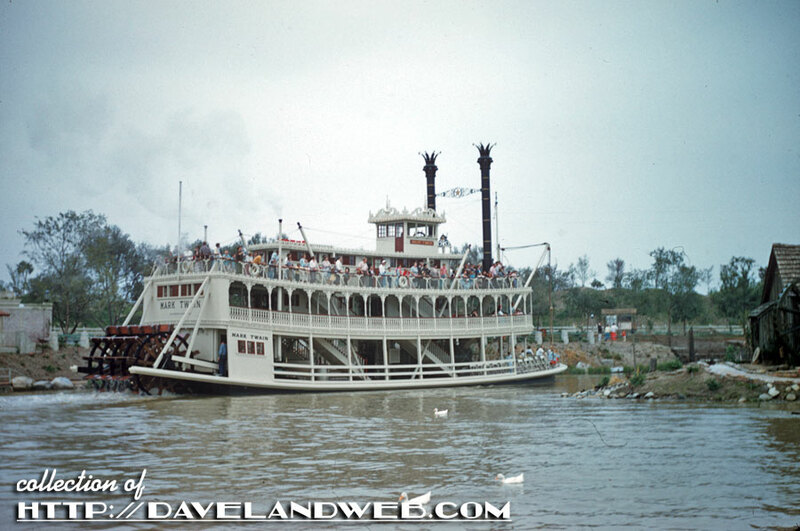 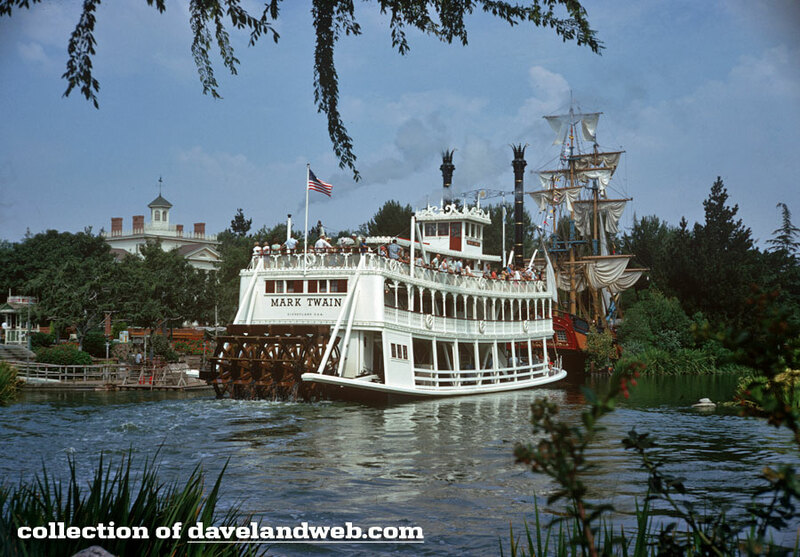 Today we celebrate the Mark Twain with a random assortment of vintage shots of the venerable riverboat at Disneyland. 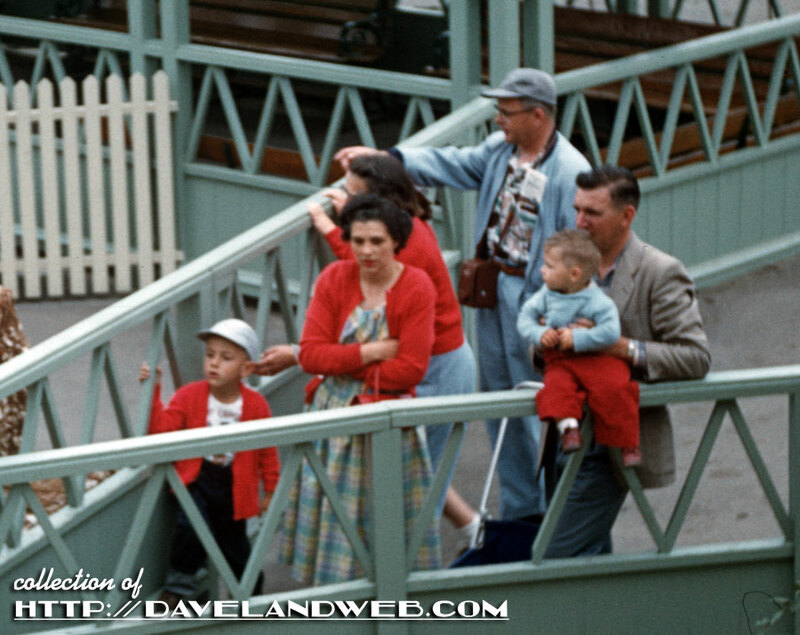 First up are a few from April 1960. 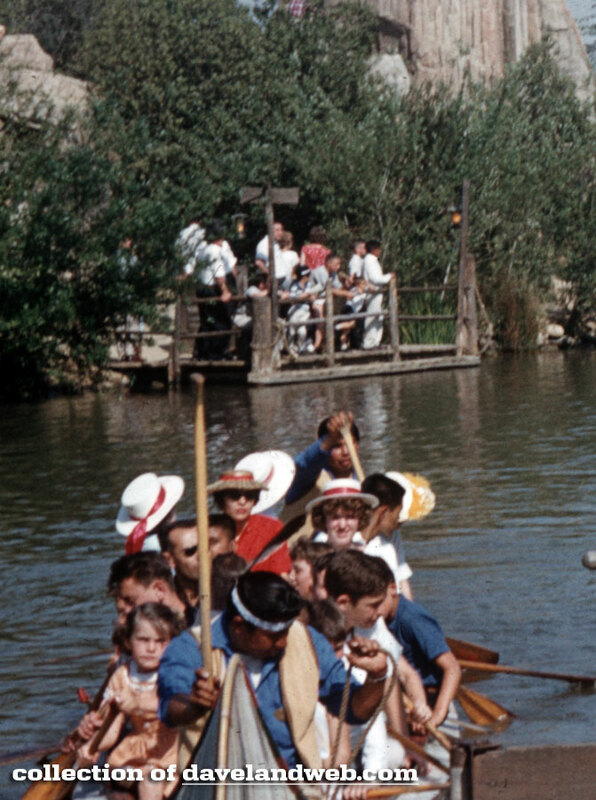 Zooming in we can see a raft at Tom Sawyer Island as well as some guests paddling away their churros on a canoe. 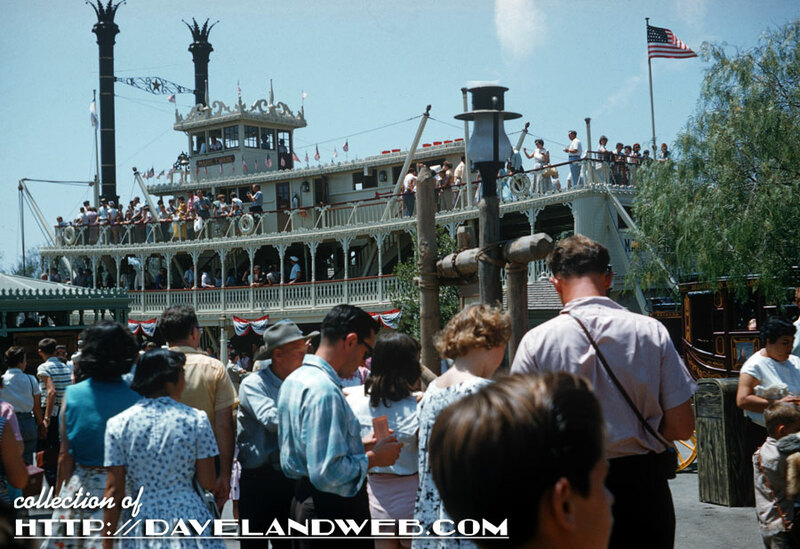 I wonder how many of those hats ended up in the river? 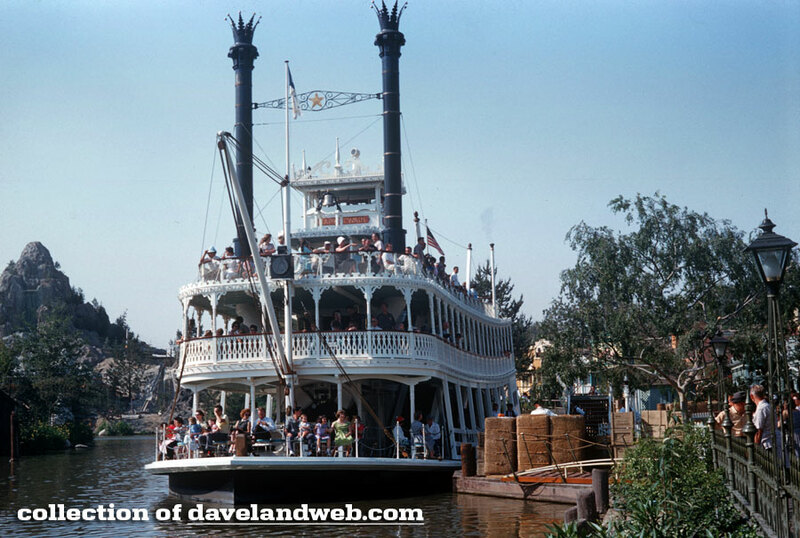 A lovely shot of the Twain, also from April 1960. 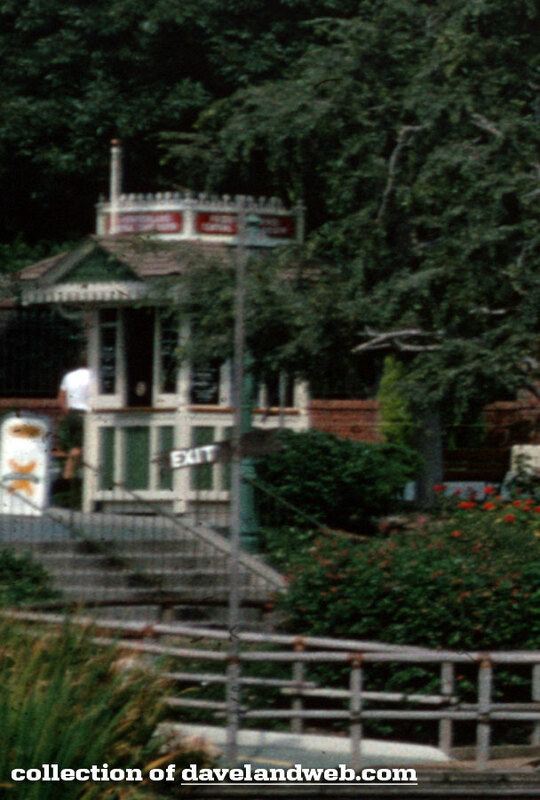 This closeup shows a nearby ticket booth. 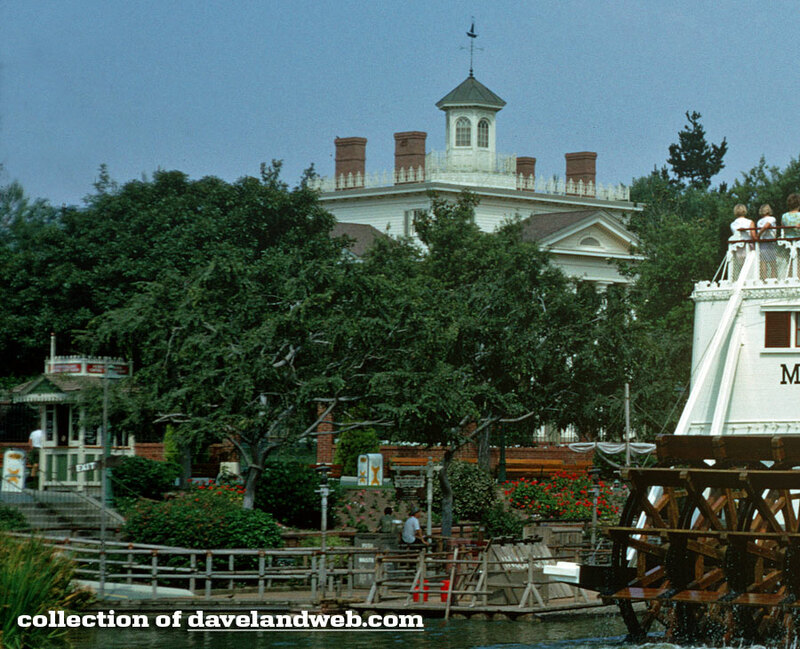 For the rafts to Tom Sawyer Island, perhaps? 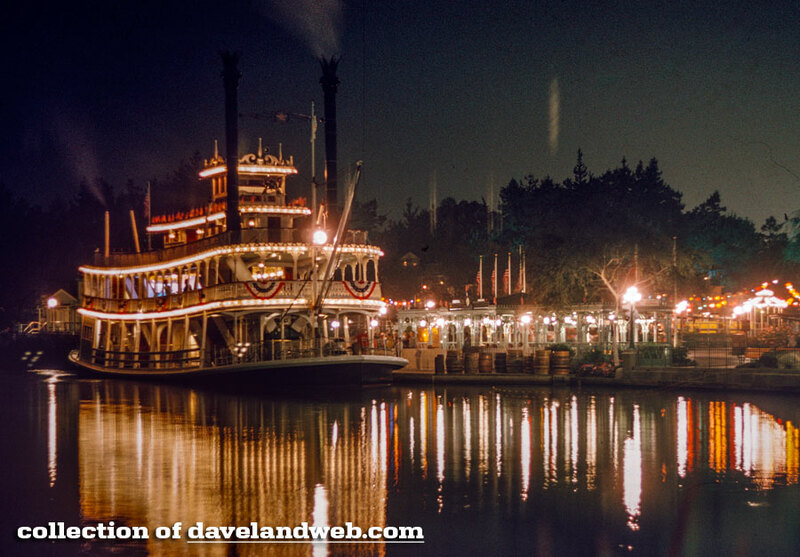 Get your Mark Twain fix at my main website. 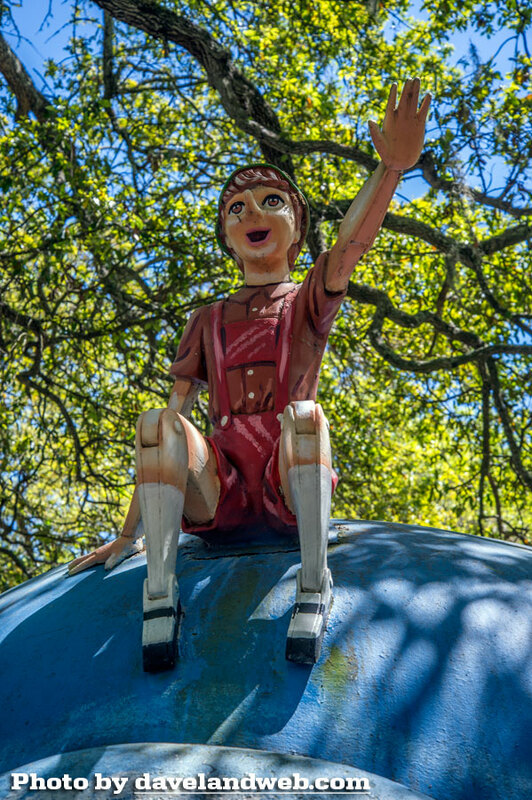 Shirley Temple is best remembered as the curly-haired singing and dancing moppet who helped cheer up a Depression-weary nation in the 1930s. 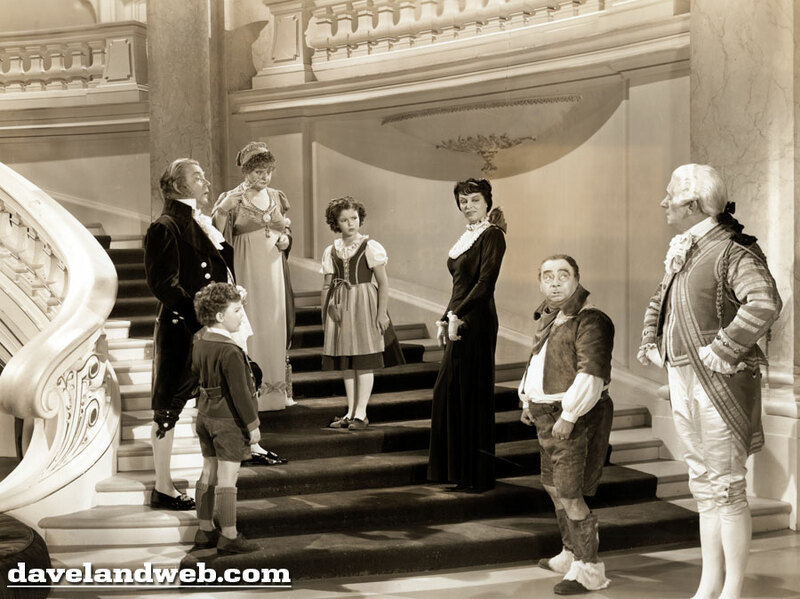 Here she is with one of her favorite costars, James Dunn in 1934's "Bright Eyes." 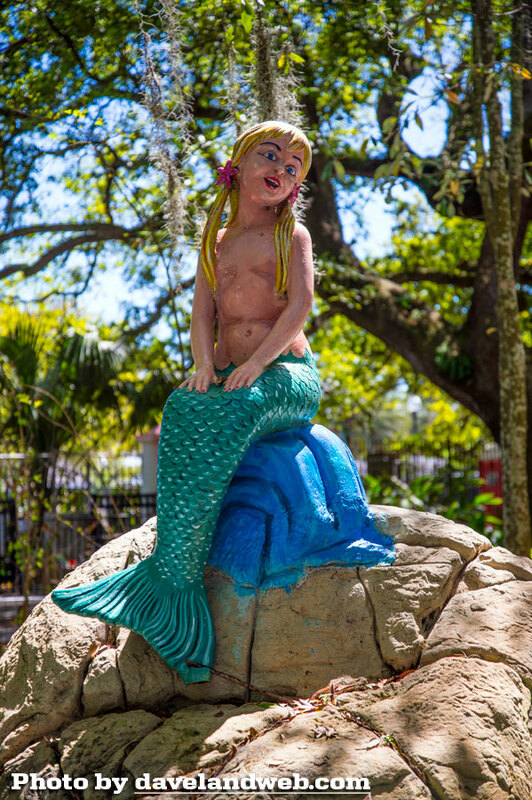 Like most little tykes, Shirley had to grow up. 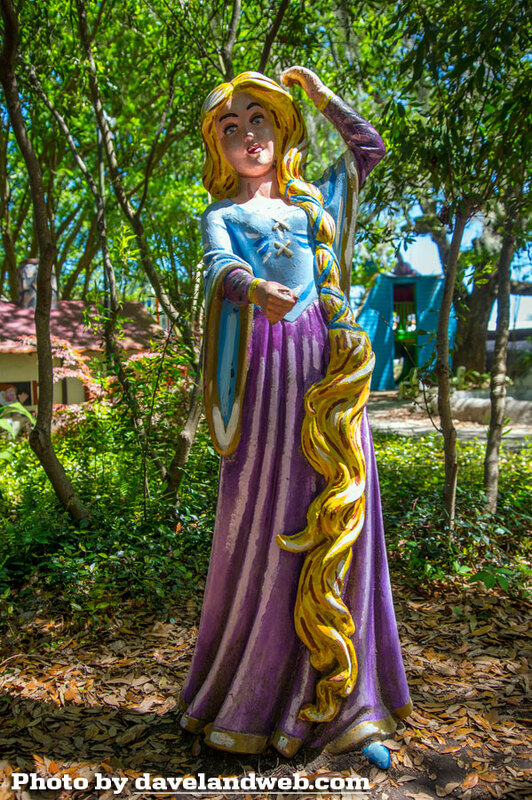 A mere four years later, she was teetering on the brink of box office disaster as her number one position was beginning to crumble. 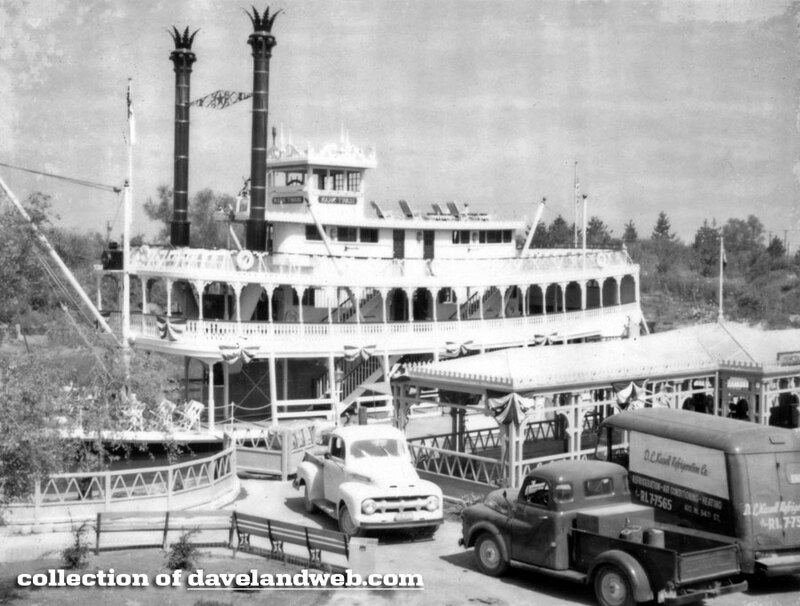 This photo is from 1938's "Rebecca of Sunnybrook Farm," co-starring Gloria Stuart. 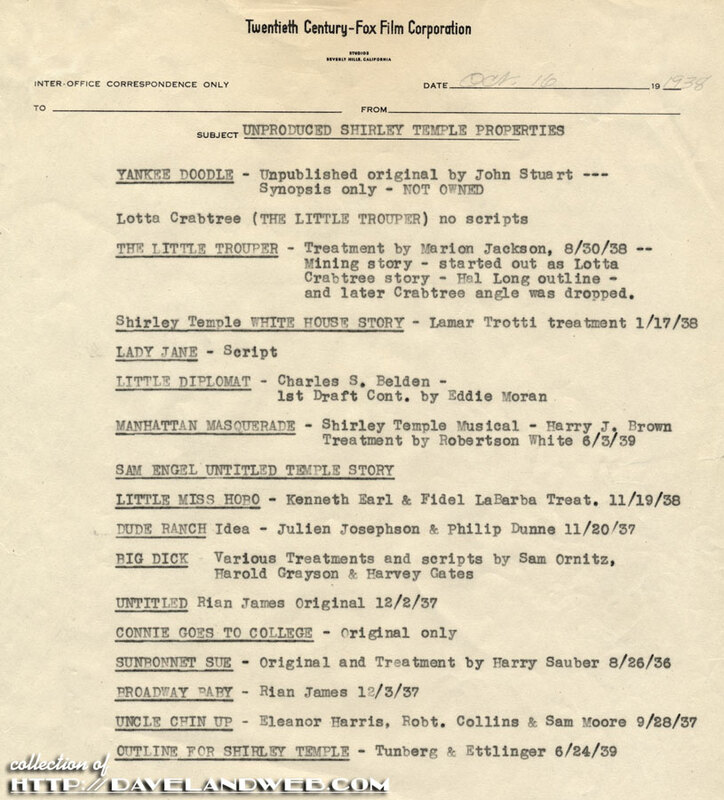 This list from October 1938 on 20th Century-Fox stationery shows that studio chief Darryl Zanuck and team were looking hard for future properties for Shirley. 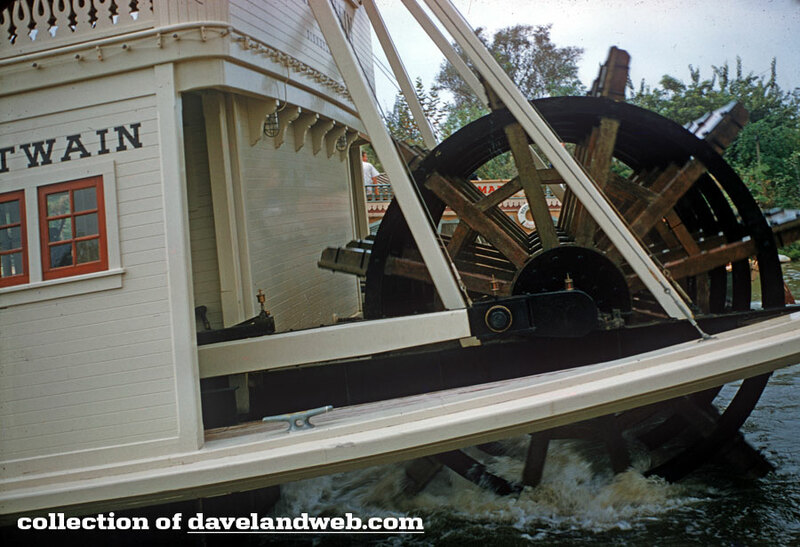 None of these came to fruition, although "Lady Jane" probably came the closest to being produced. 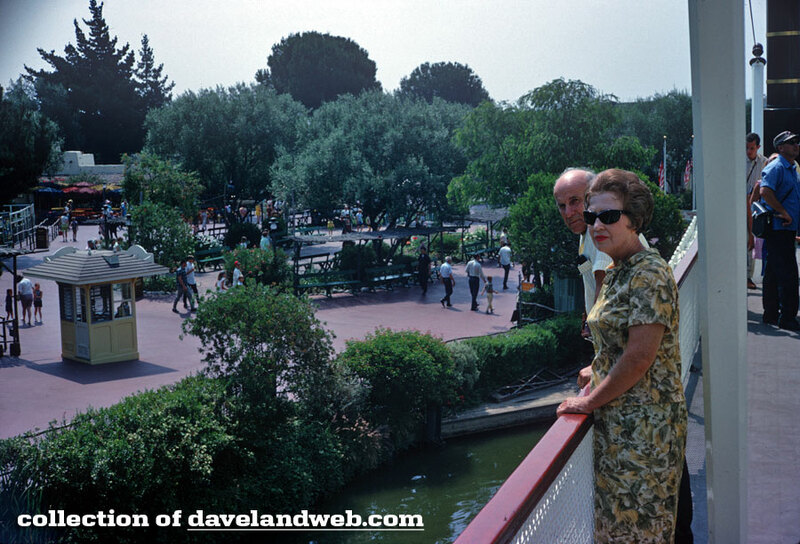 In the end, Shirley cranked out a few more films before "retiring" from Fox at the ripe old age of 12. 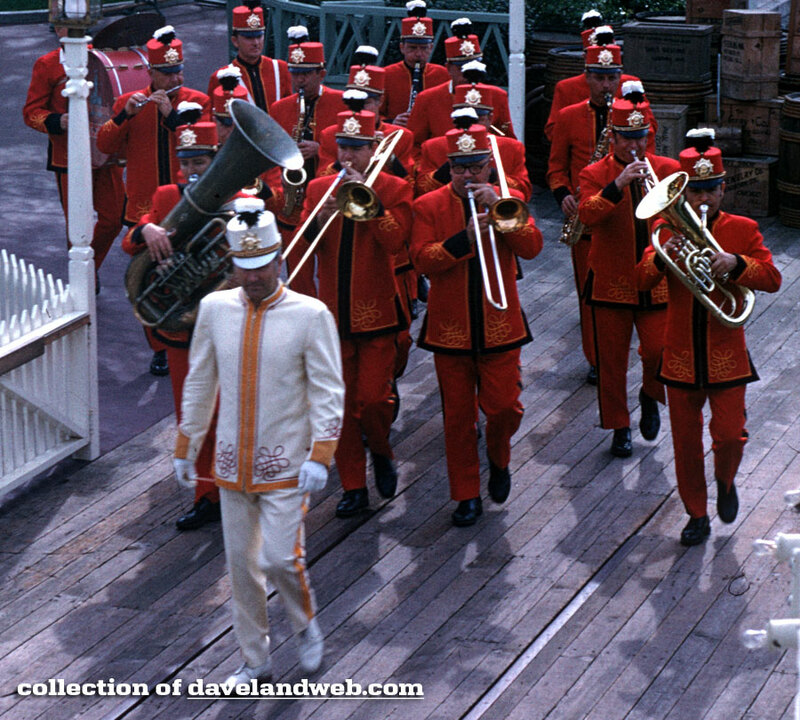 ROYAL SLIDE - For Shirley Temple and Johnny Russell (behind are light, center) one of the high spots of "The Blue Bird", now under production in Technicolor at 20th Century-Fox, came when they got to slide down the impressive balustrades of a baroque palace. 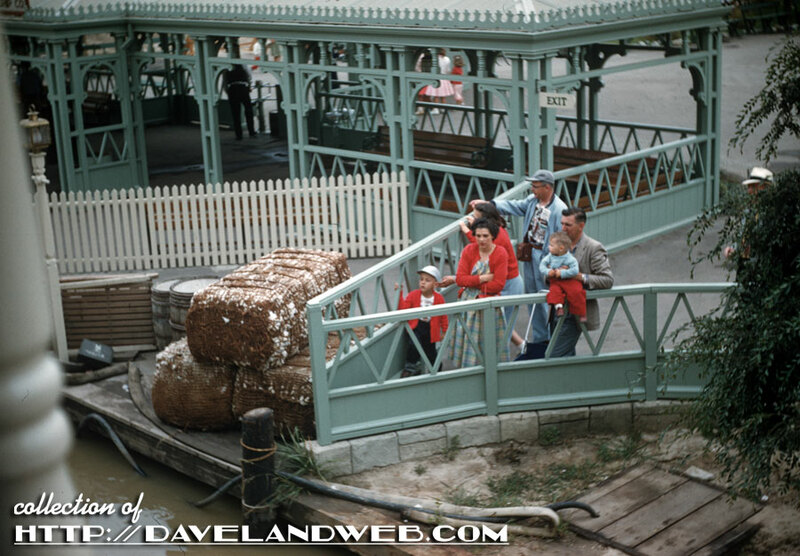 Behind Gale Sondergaard (at foot of balustrade) is one of the big satin pillows into which Shirley and Johnny plumped. 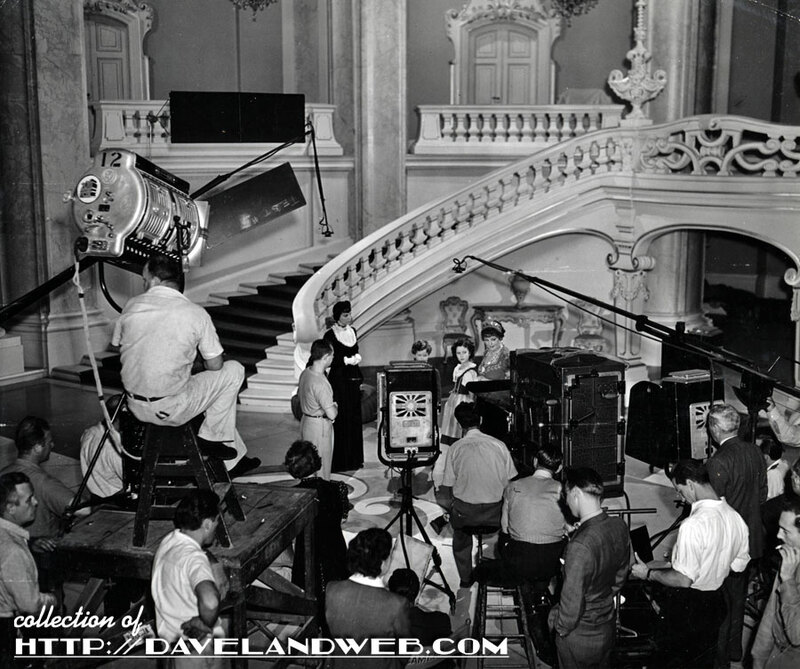 Even Laura Hope Crews (left of camera) as well as Nigel Bruce (not shown) got the rare privilege of sliding down the banister. 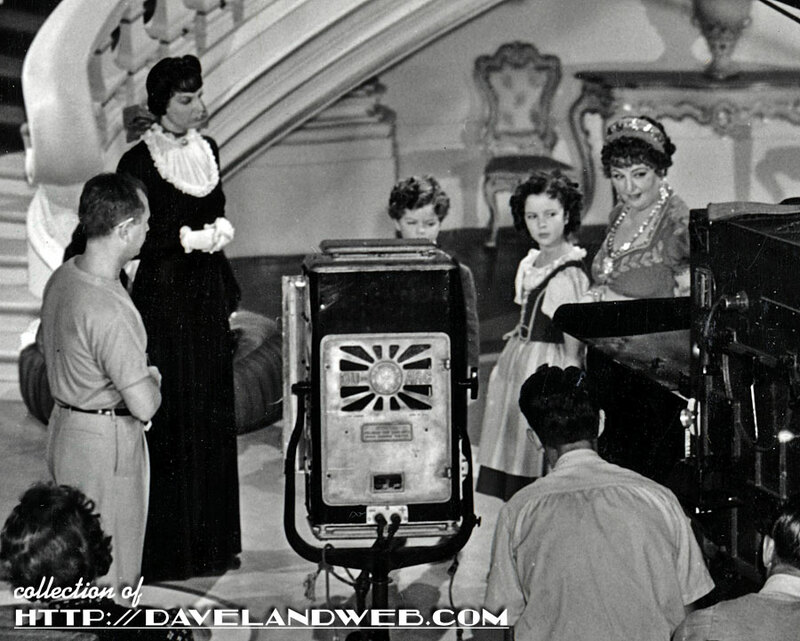 The scene is from "The Palace of Luxury", which occupied an entire sound stage at the Westwood studio. 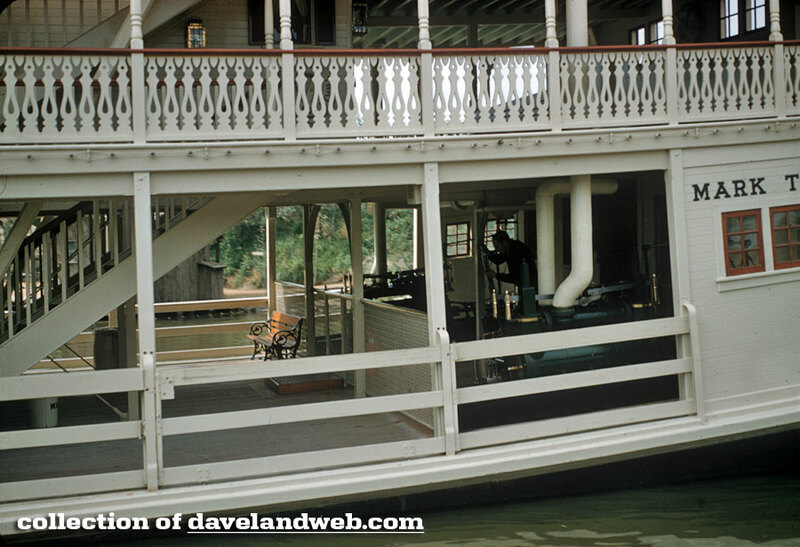 In this still, you can see the aforementioned bannister. 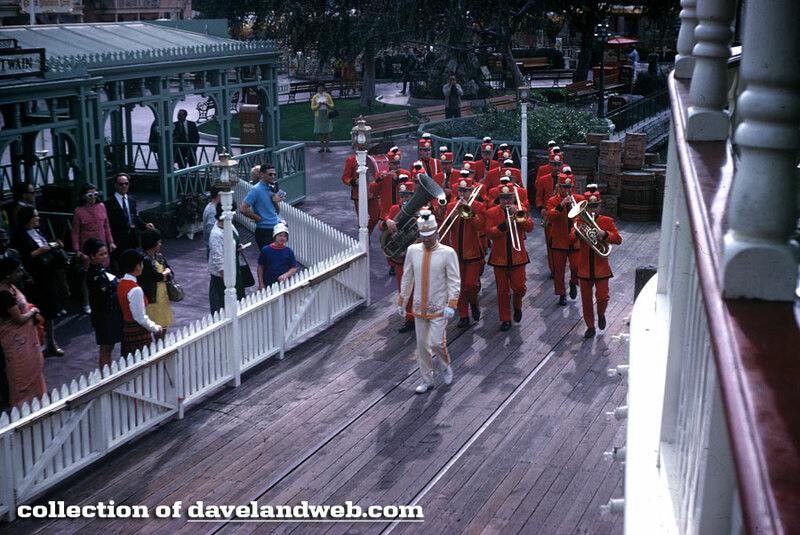 However, I am guessing that stunt doubles were used for most (if not all) the actors! 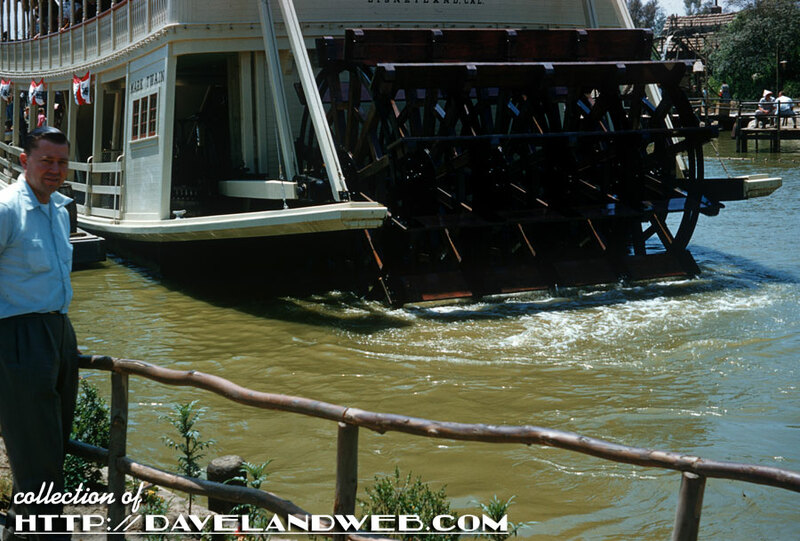 More Shirley Temple in "The Blue Bird" photos at my main website. 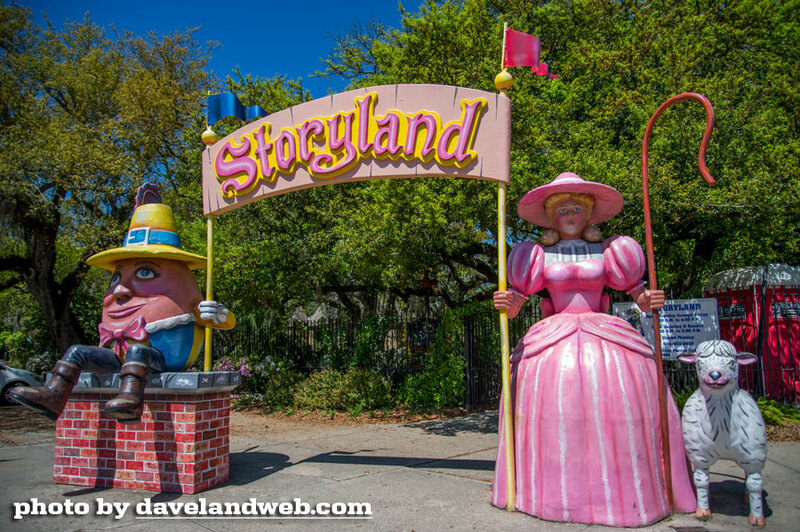 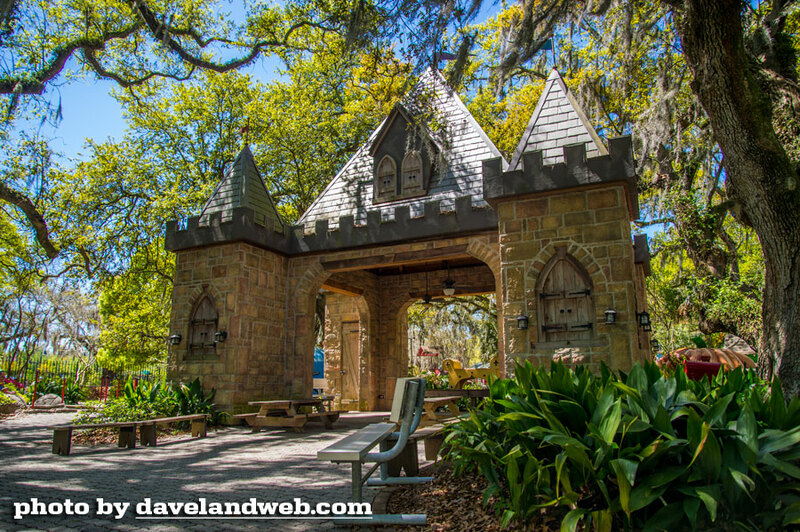 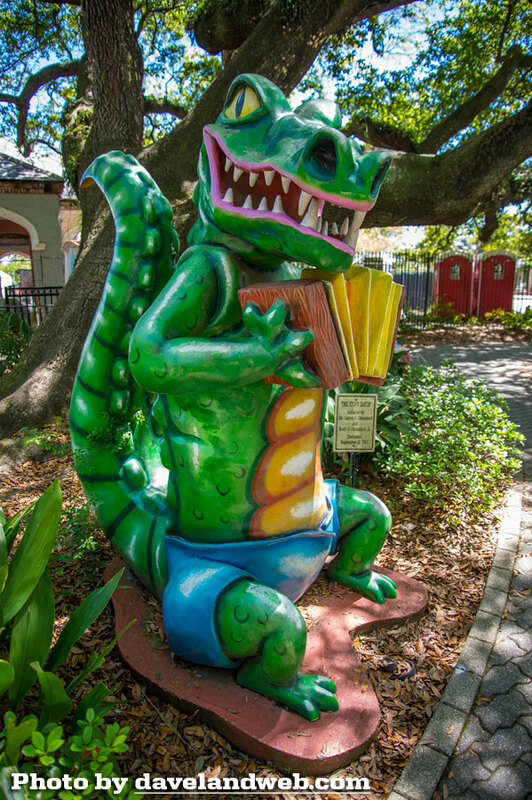 I still have a number of posts sitting in the queue from trips long ago, like this one about Storyland in New Orleans from over a year ago. 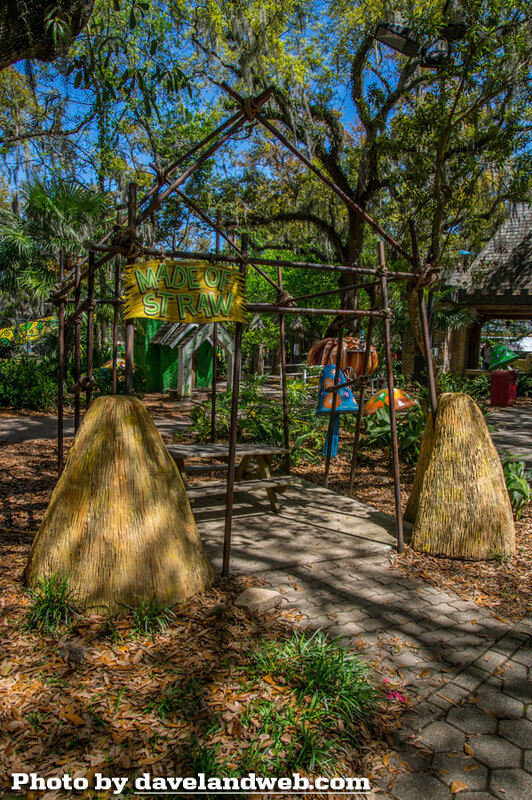 I had never heard of this section of City Park until the Executive Director at UCDA clued me into it. 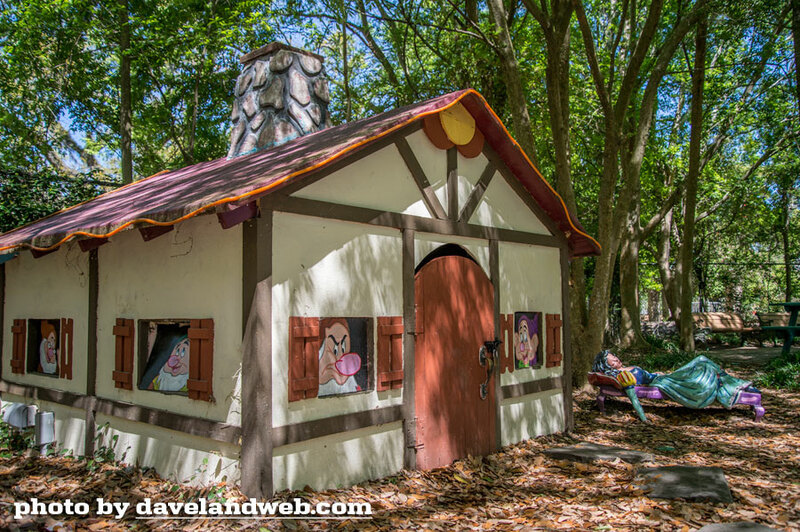 What a kitschy gem this place turned out to be! 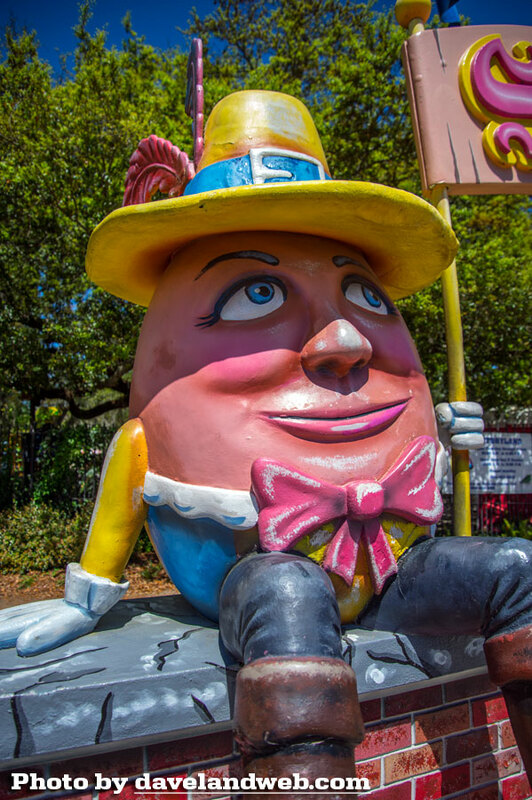 At the entrance you find no less than Humpty Dumpty himself! 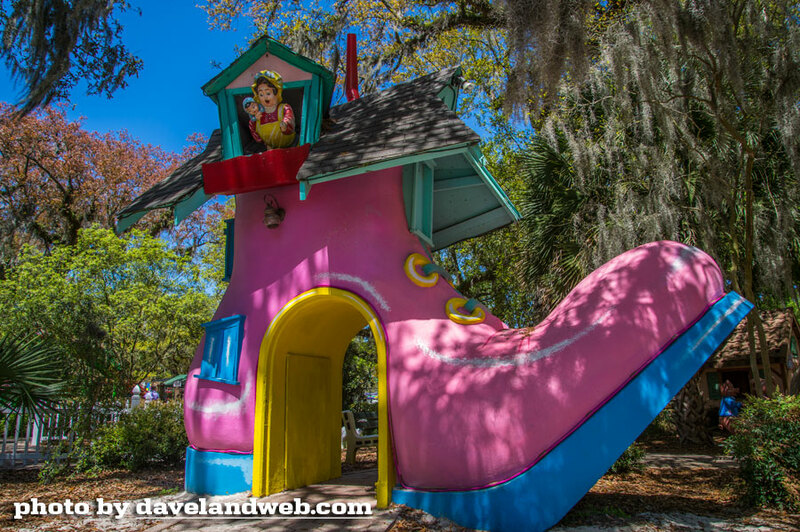 While it may lack the sophistication and polish of a Disney Park, it is every bit as charming, and judging by the plethora of happy squealing kids running through while I was there, it was just as entertaining. 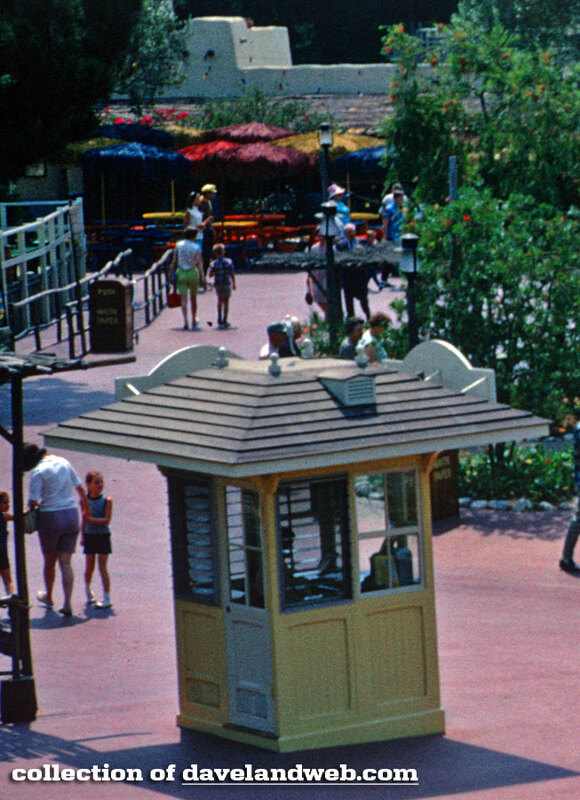 In fact, maybe even a little more so because of its simplicity and the ability to interact with fewer rules and regulations. 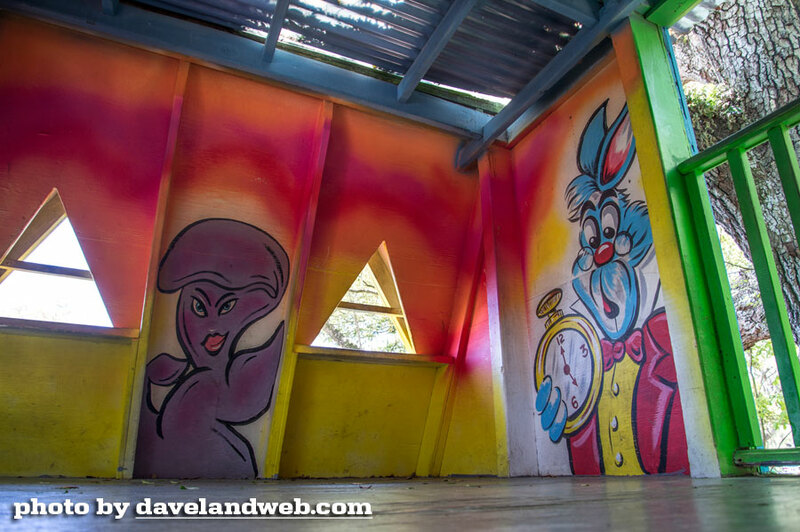 Inside this little structure, it would appear that the artists of Storyland are much less worried about the reach of the Mouse's attorneys. 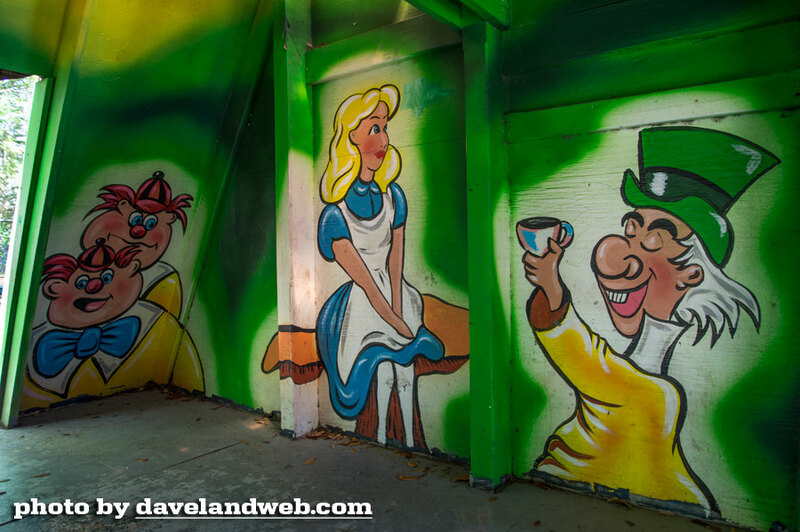 These paintings of the characters from Alice in Wonderland are spot-on to their Disney counterparts. 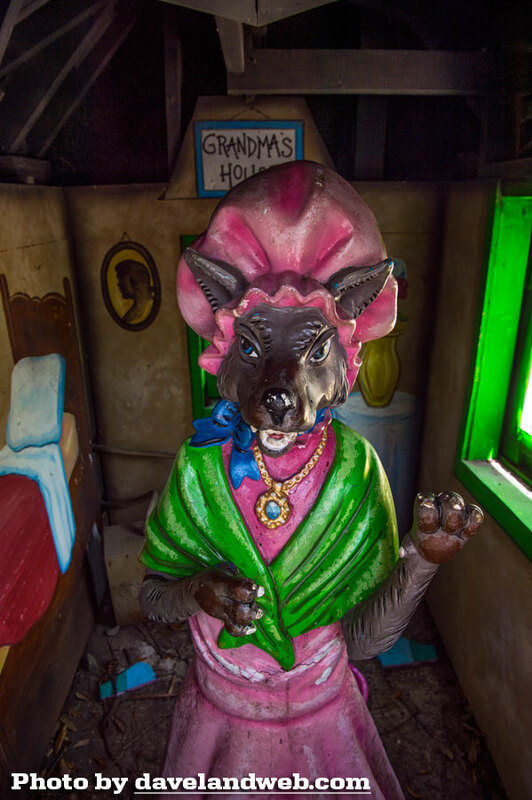 The frightful sight you see when you open her door! 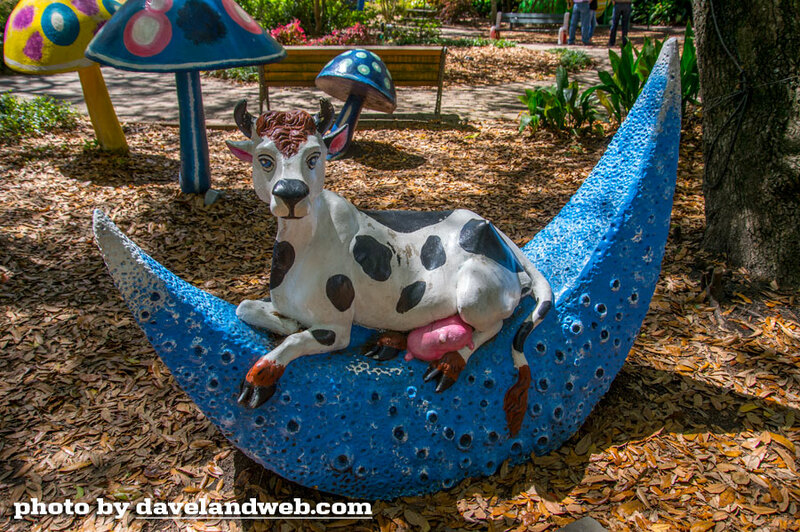 This is the cow that stepped over the moon. 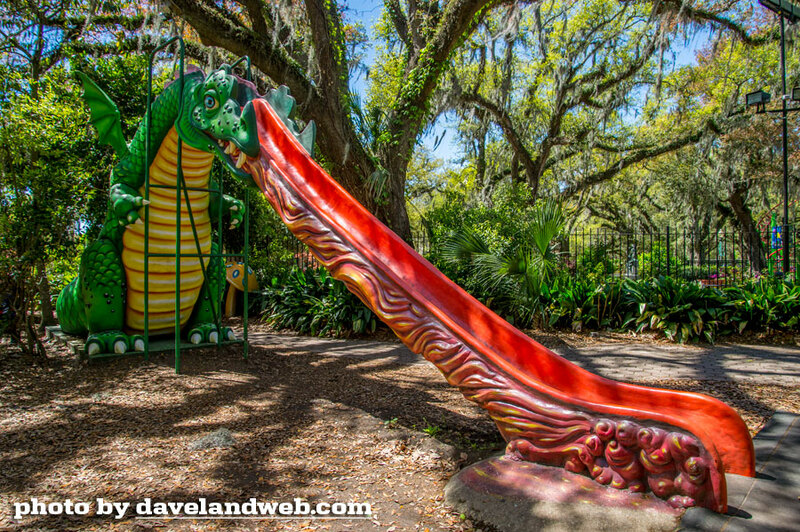 Loved this dragon slide; it took a long time to get this shot without the tiny little varmints who were gleefully playing here. 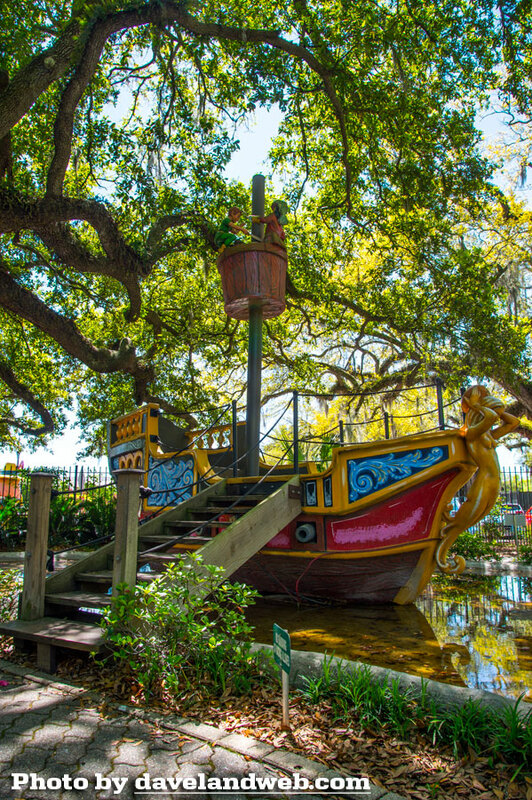 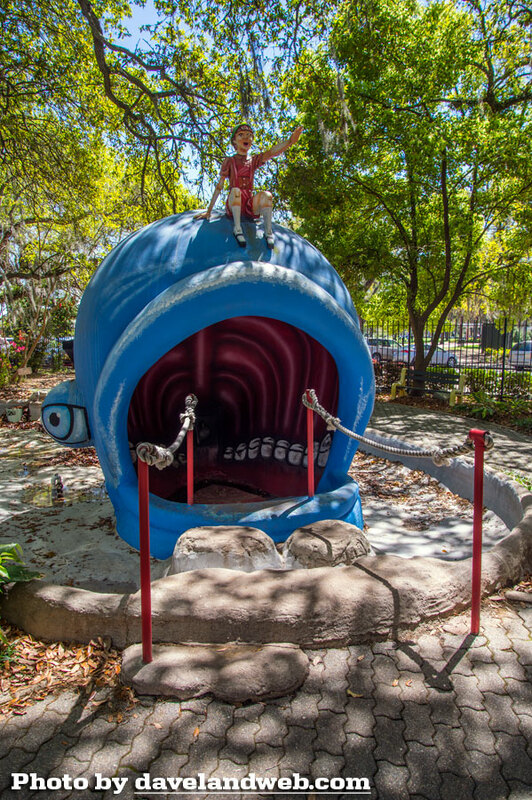 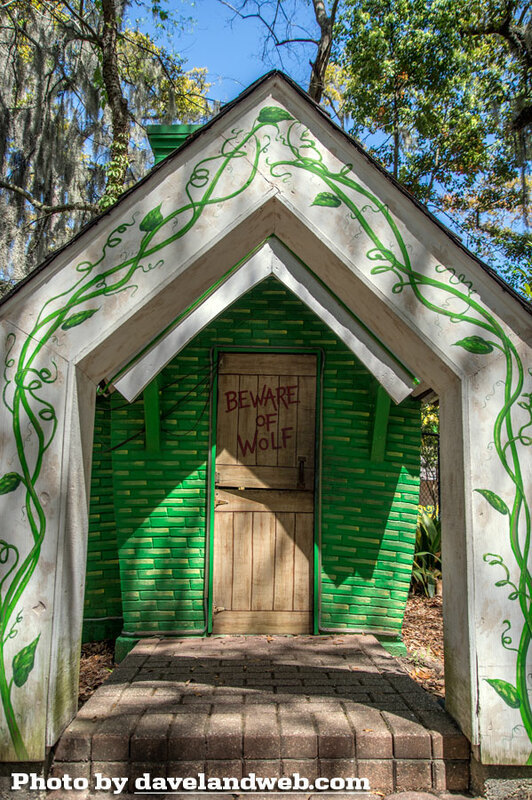 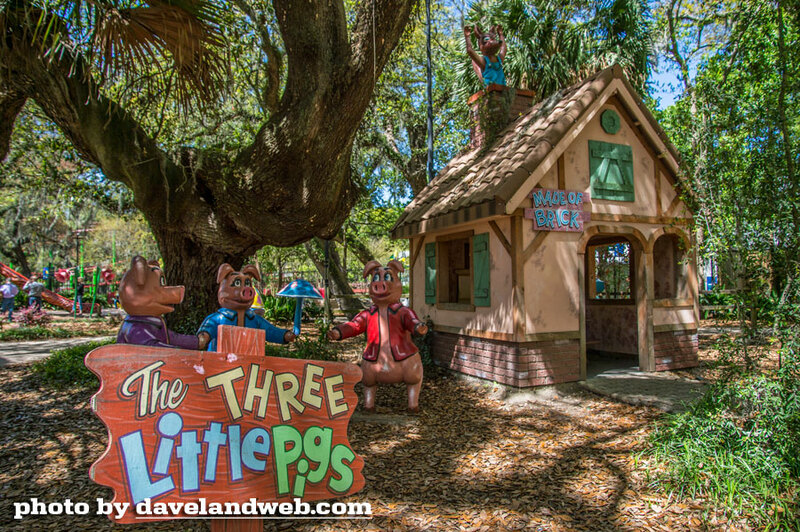 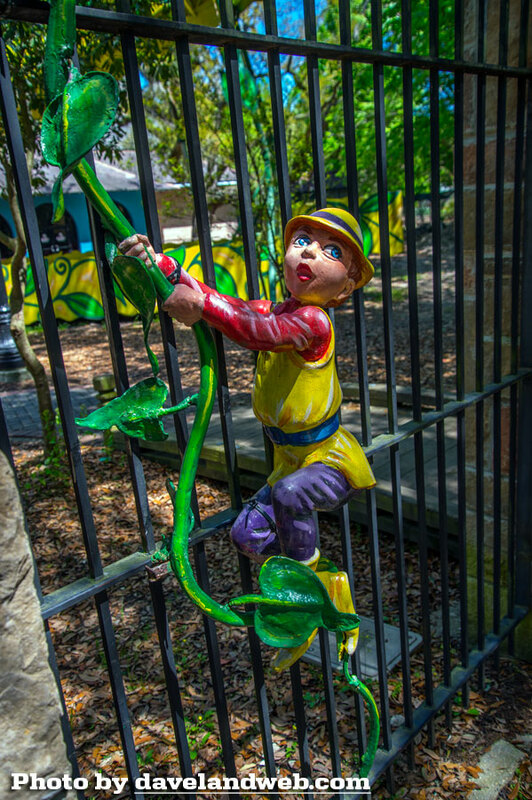 While this place may not exactly be compliant with all the rules that the Mouse House adheres too, it is still a very cool place for the young and young at heart. 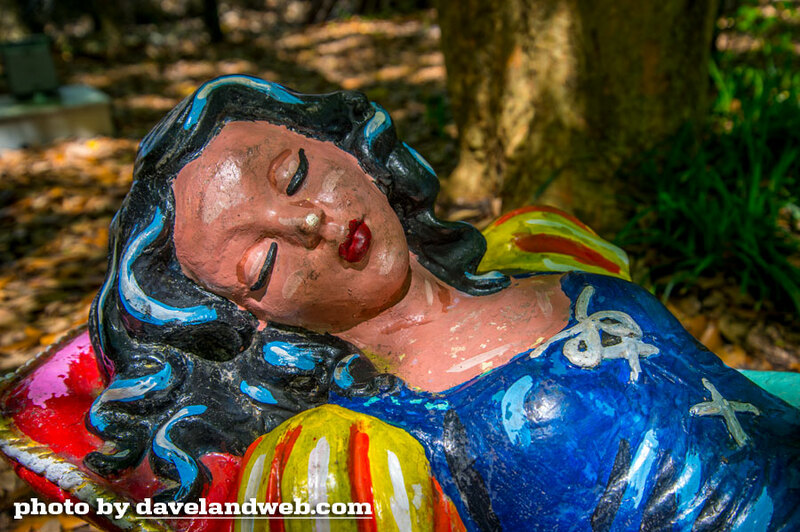 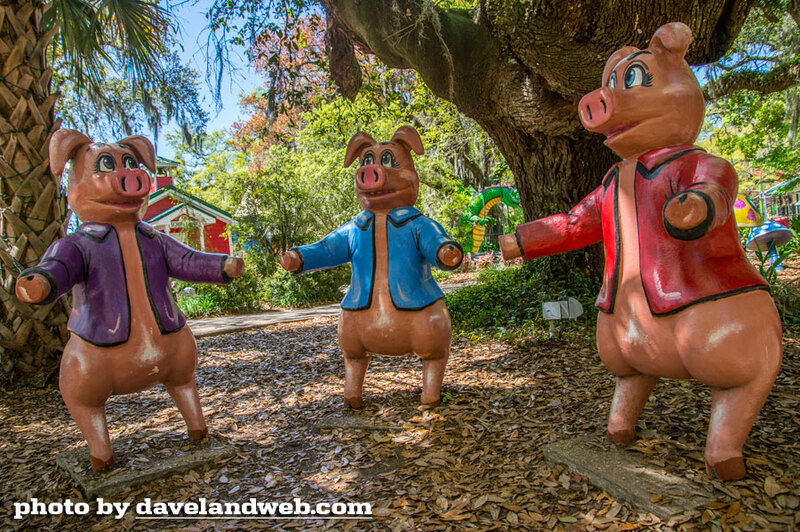 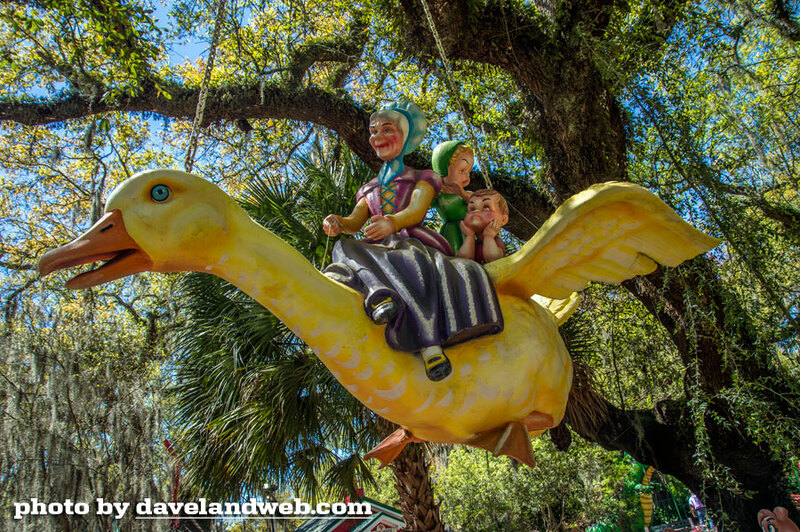 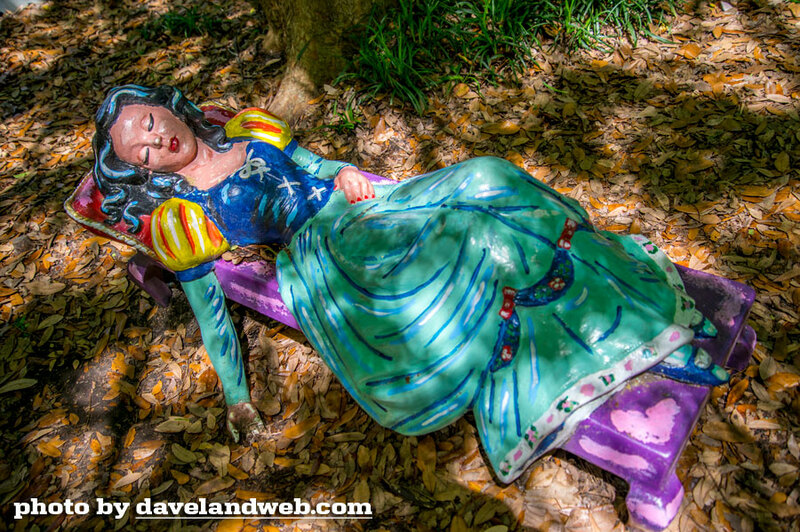 More Storyland at my main website.